Wash the rice and let it drain. Heat the oil and sauté all the other ingredients until soft. Add the rice and mix well, cook for about 10 minutes making sure it does not burn. Add the boiling water, saffron and salt, mix well and cover. Bring to the boil then reduce the flame, simmer until cooked (add more boiling water if necessary). NB. 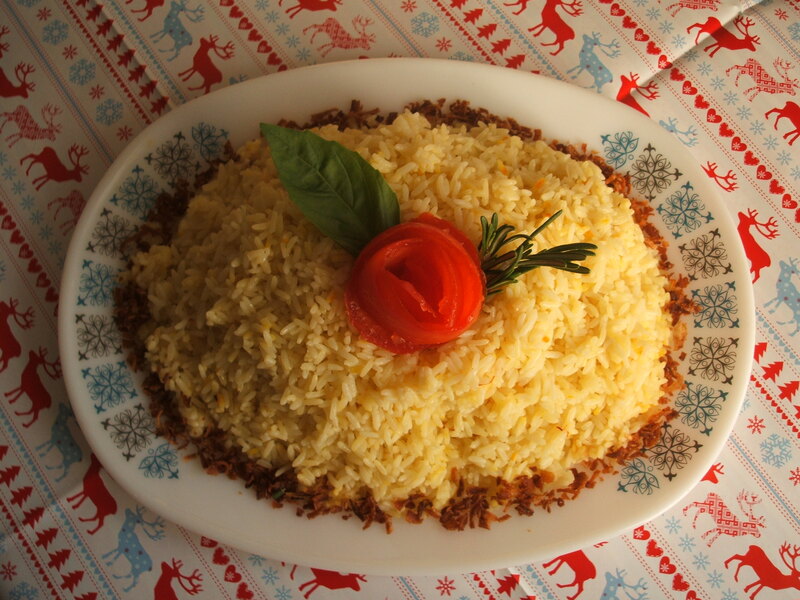 This is a basic fried rice recipe – if you want, you can add vegetables, meat or seafood. One of my Favourite lunch dish, Thank you for adding.